The polls have closed, and the votes are in! With nearly 1,000 votes cast in all the rounds, competition was fierce, but, we finally have a winner in this year’s March Madness tournament. Which makes Morgan’s work a second-time March Madness winner. It looks like articles from the American Historical Review, Early American Studies, the Journal of American History, the Journal of Social History, and Past & Present and are still Open Access today. Links remain available in our bracketing post, so go read them while you can! 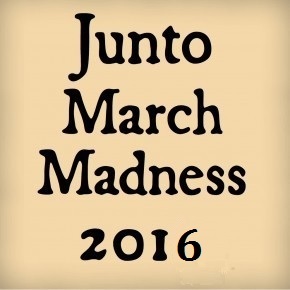 Thanks to everyone who took part in this year’s March Madness tournament; see y’all next year! « Guest Post: A Recap of Situation Critical!